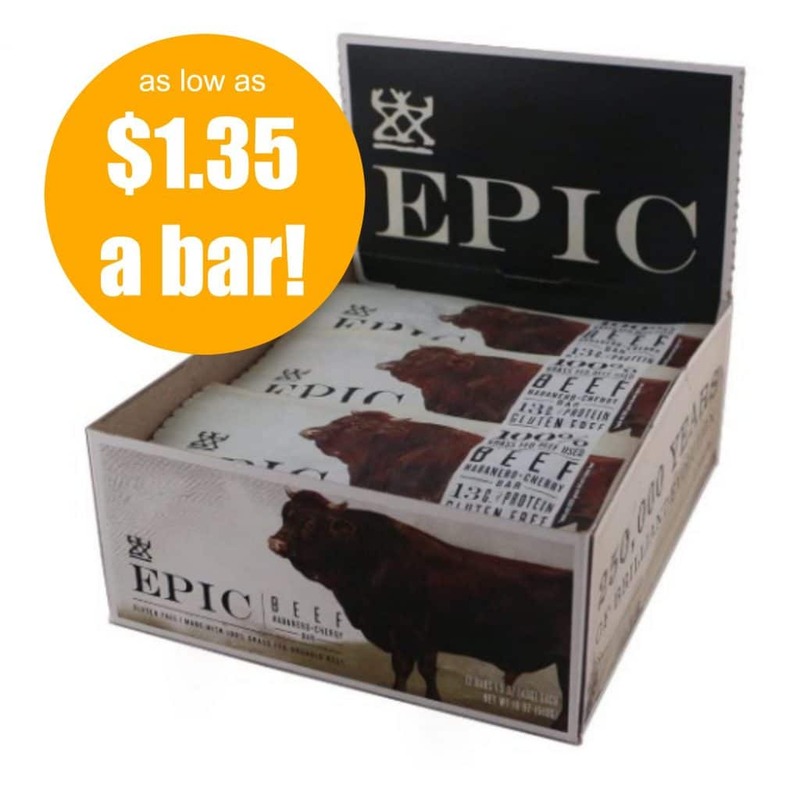 This rare $4 off Epic bars Epic Bar coupon on Amazon makes for a low price on these Paleo-friendly, grass fed jerky bars! $18.68 after coupon and S&S discount, so just $1.55 a bar! Or, order 5+ S&S items in a month, save 15% off your entire order and drop the price down to $16.30, so just $1.35 a bar! These bars sell for $2.99 at Whole Foods, so this is a hot price! If you prefer a different flavor, you can choose from several others here with this coupon.